The St. Johns County watering restrictions are designed to ensure the efficient use of water for landscape irrigation. The restrictions allow enough water to establish and maintain healthy landscapes year-round. The mandatory restrictions specify the times when watering may occur, the amount of water that may be applied, and the days when watering may occur for residential and nonresidential locations. Odd numbered address ends in 1, 3, 5, 7 or 9. Even numbered address ends in 0, 2, 4, 6 or 8. Water only when needed and not between 10 a.m. - 4 p.m.
Limited irrigation to the amount necessary to meet landscape needs. Irrigation limitations apply to water withdrawn from ground or surface water, from a private well or pump, or from a public or private utility. Persons irrigating with an automatic lawn irrigation system shall install, maintain and operate an automatic override system that turns off the irrigation system when there is “sufficient moisture." This may include a rain sensor device that turns off the system during periods of rainfall or a soil moisture sensor that prohibits the irrigation system from turning on when there is sufficient moisture in the soil to maintain healthy plants. Non-landscape irrigation, such as vegetable gardens, playgrounds, football and soccer fields, agricultural crops and nursery plants can be irrigated any time except between 10 a.m. and 4 p.m.
Irrigation using micro-spray, micro-jet, drip or bubbler irrigation systems is allowed anytime. Irrigation of new landscape is allowed at any time for the first 30 days and every other day for the next 30 days. Limit irrigation to the minimum amount necessary for establishment. Watering in chemicals, including insecticides, pesticides, fertilizers, fungicides and herbicides when required by law, the manufacturer, or best management practices, is allowed anytime within 24 hours of application. Watering in chemicals may not exceed ¼ inch of water per application except as otherwise required by law, the manufacturer, or best management practices. Irrigation systems may be operated anytime for maintenance and repair, not to exceed 20 minutes per hour per zone. Irrigation using a hand-held hose with a spray nozzle that can be adjusted so water flows only as needed is allowed anytime. Discharge of water from a water-to-air air-conditioning unit or other water-dependent cooling system is not limited. 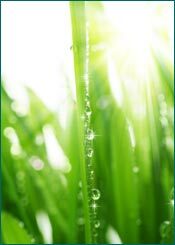 The use of water from a reclaimed water system is allowed anytime. This includes systems in which the primary source is reclaimed water, which may or may not be supplemented from another source during peak demand periods. Landscape irrigation means the outside watering of plants in a landscape such as shrubbery, trees, lawns, grass, ground covers, plants, vines, gardens and other such flora that are situated in such diverse locations as residential areas, public, commercial and industrial establishments, and public medians and rights-of way. “Landscape irrigation” does not include agricultural crops, nursery plants, cemeteries, golf course greens, tees, fairways, primary roughs, and vegetation associated with intensive recreational areas, such as playgrounds, football, baseball and soccer fields. Residential landscape irrigation means the irrigation of landscape associated with any housing unit having sanitary and kitchen facilities designed to accommodate one or more residents, including multiple housing units and mobile homes. Nonresidential landscape irrigation means the irrigation of landscape not included with the definition of “residential landscape irrigation,” such as that associated with public, commercial and industrial property, including commercial or transient housing units, hotel and motel units, and public medians and rights-of-way. For more information, contact Code Enforcement at (904) 209-0734 or report a violation using PRIDE. You can also find more information by visiting floridaswater.com.